In 1956 the President approved a Joint Resolution of the 84th Congress declaring "In God We Trust" as the official national motto of the United States of America. Each of the 50 United States also has an official motto (all state mottos). Most Americans are only familiar with the first verse of Francis Scott Key's 1814 poem "The Star Spangled Banner," but the fourth verse includes: "And this be our motto: In God is our trust." "IN GOD WE TRUST first appeared on the 1864 two-cent coin. 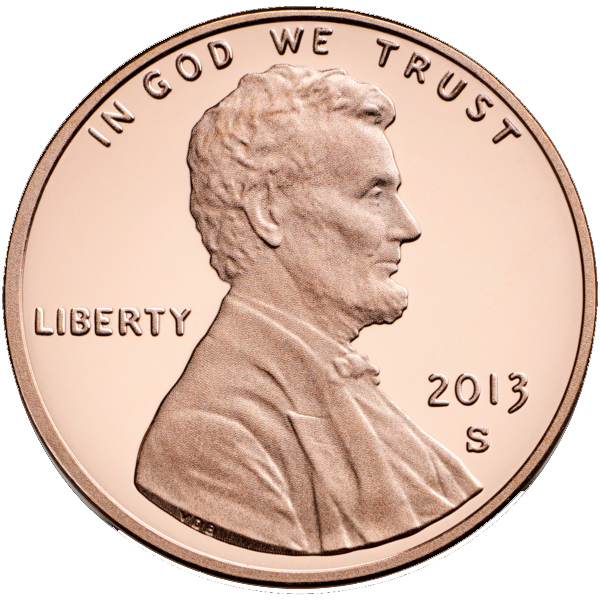 The motto has been in continuous use on the one-cent coin since 1909, and on the ten-cent coin since 1916. It also has appeared on all gold coins and silver dollar coins, half-dollar coins, and quarter-dollar coins struck since July 1, 1908." The original motto of the United States was "E Pluribus Unum" (Latin for "one from many" or "one from many parts"), referring to the welding of a single federal state from a group of individual political units (the original colonies, now states). "E Pluribus Unum" remains on the great seal of the United States. 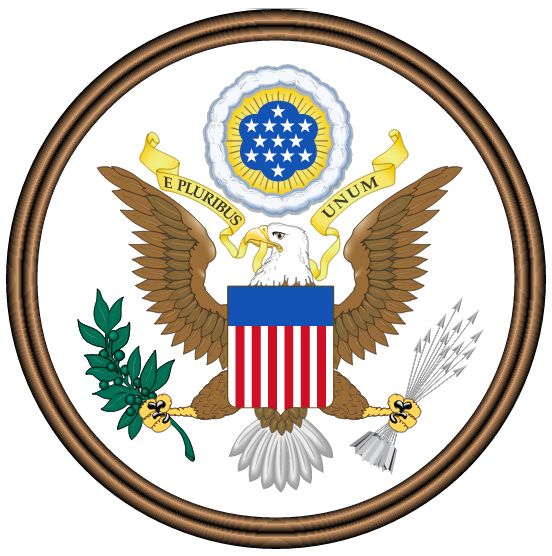 Great Seal of United States (obverse): E Pluribus Unum (public domain photo on Wikipedia). The national motto "In God We Trust" on reverse of U.S. one-dollar bill (public domain image on Wikipedia).